Choose your pest below or go to the commercial pest control section and choose your industry sector. 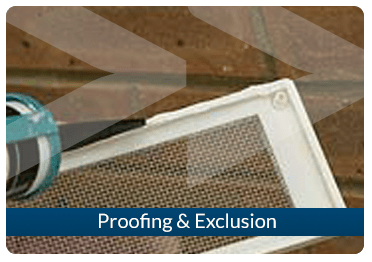 For Pest Control Services London in a private house or flat read about domestic pest control or phone now for a free discussion and quotation. 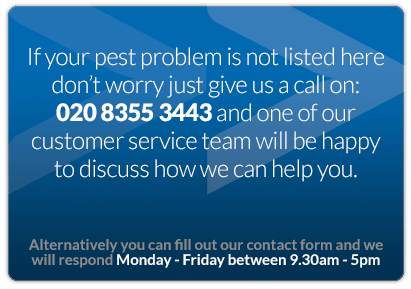 We have a fully trained customer service team ready to take your call if you have an existing pest problem or want to prevent a future pest problem. 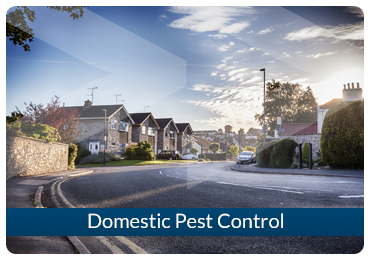 The team undergo regular pest training so that they are able to give expert advice over the phone. 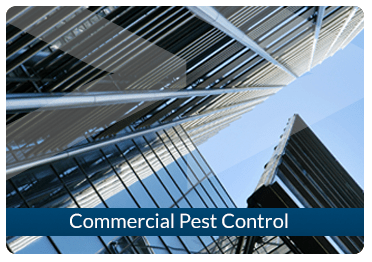 We can provide you with an immediate quotation (if you are a domestic customer) or we will send a surveyor to carry out a free pest control survey if you are a commercial customer. Depending on what you would like, the surveyor will prepare a report (or show you the problem areas). He will also give you proofing recommendations. You can carry out the proofing yourself or we have a proofing team who can do it for you. 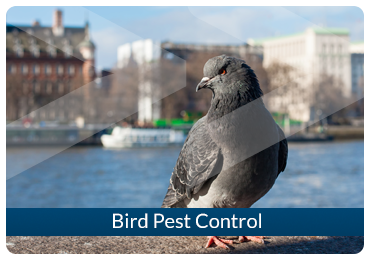 The following is a large selection of the most common pests and further information about services provided by Beaver Pest Control Services London. Insect Control for wasps, food moths or clothes moths, bed bugs, tropical ants or black ants, cockroaches, fleas and various food beetles and carpet beetles. Urban wildlife management services such as fox control. 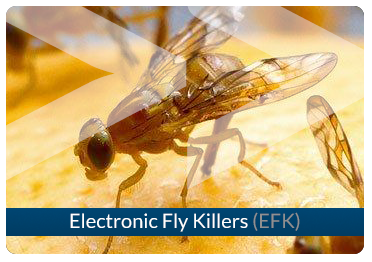 Fly control services including the hire and service Electronic Fly Killers (EFK). Please feel free to read about your pest infestation. However the easiest way to find out about your specific pest problem is simply to give us a call. One of our customer service team will be happy to help you.